Sukanya Samriddhi Yojana is a new scheme launched in the year 2014 by Prime Minister Narendra Modi. 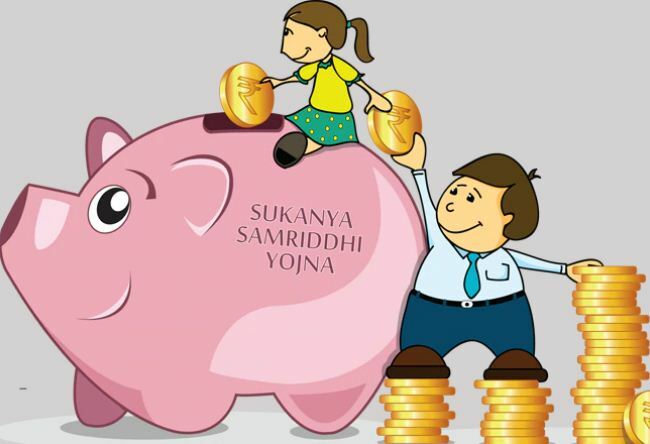 The Sukanya Samriddhi Account scheme was launched with an initial interest rate of 9.10% p.a. for the year 2017-2018. This has been increased to 9.20% p.a. for the current fiscal 2015-16.Sukanya Samriddhi Yojana interest rate is revised on a yearly basis and hence for FY 2016-17 it has been revised 8.6%. A premier saving scheme offering from the Indian Ministry of Finance, the Sukanya Samriddhi Yojana (SSY) Accounts are aimed at ensuring a bright future for the girl children in India. This ambitious and resourceful scheme was launched by the honorable Prime Minister of India, Mr. Narendra Modi, and has quickly emerged as a popular “Savings Scheme” that aims to provide financial backing for a girl child’s varied, lifelong aspirations. Sukanya Samriddhi Account Tax benefits under section 80C. The account can be transferred anywhere in India. The minimum amount that needs to be deposited on an annual basis is very low, i.e., Rs.250 per year. The girl child will be able to operate the account after the attainment of 10 years. The girl child will receive the proceeds when the account matures. The SSA is unique in the fact that it is a scheme that offers financial security and growth, in addition to creating awareness on the well-being of the girl child. The amount that the child receives on maturity of the policy is totally tax-free. There will also be no tax on the investments made towards the scheme. If you are the parent of a girl child who has decided to invest in this scheme, the maturity amount that you can avail when you start contributing from the financial year 2015-16 is as follows. The interest rate considered for this calculation is 9.2%. When she turns 10, the girl child can operate the account herself; however, deposit in the account may be made by the guardian or any other person or authority.